Dr. Seely has been in dentistry since 1987, where she entered the profession as a dental assistant. Shortly thereafter, she received her bachelors of science in dental hygiene and began her career as a dental hygienist. 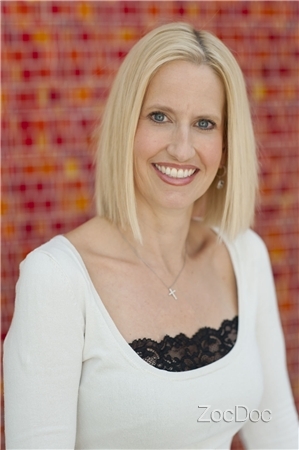 She had practiced as a dental hygienist for 10 years, when she received her DDS from Baylor College of Dentistry. With a mouth full of fillings and crowns from poor luck in genes and growing up on non-florinated water, I could call myself an expert dental patient. I have seen more dentists in my life than I can count and noneof them I would recommend except for Dr Seely's office. I've been going to Dr. Seely for 5 years. It is A+ every time. The facility is top notch and each and every single staff is outstanding. I would highly recommend Dr Seely for all your dental needs. There isn't a better dentist in town. I've been a patient of Dr. Seely for 5 years. I've stayed with them because of the high quality of care & professional and consistent staff. I actually enjoy going to the dentist, because they make it a blast! Personnel at The Dentist are consistently prompt, engaging, professional & highly skilled. Rebecca cleans my teeth. She doesn an excellent job both in taking care of my teeth & responding to my questions & concerns. Dr. Seely follows up thecleaning with a review of her own, dialoguing with both hygienists & patient. I always feel informed about me dental hygiene & any procedures. They also recommend dental care products. All in all, a very effective, positive environment. We've visited The Dentist for years and have been consistently pleased w/ the service. Staff and doctor are friendly and pleasant. Services are thorough and professional. Dr. Kristen Seely, DDS has no appointments on Zocdoc right now.